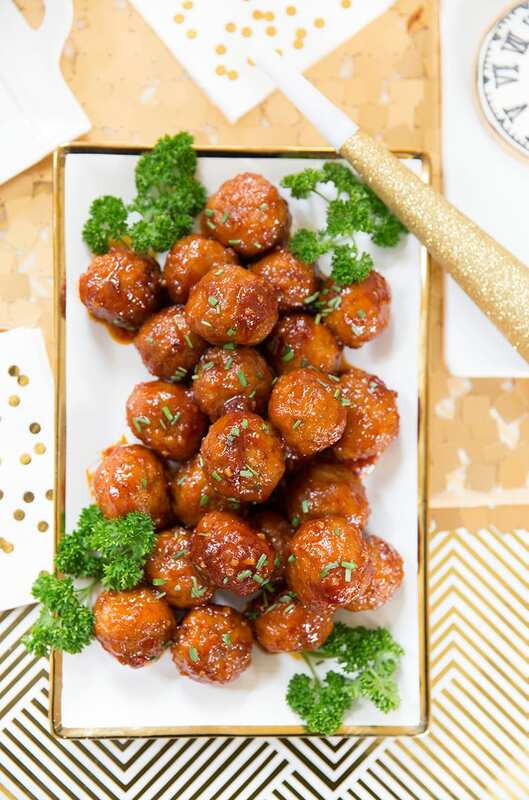 Serve a variety of bite size “mix and mingle” style foods like these sweet ‘n spicy meatballs – made with Johnsonville Meatballs. Be sure to serve toothpicks (or even fun ones with cute toppers) for easy eating. Pick a color scheme like glitzy gold or black and white! 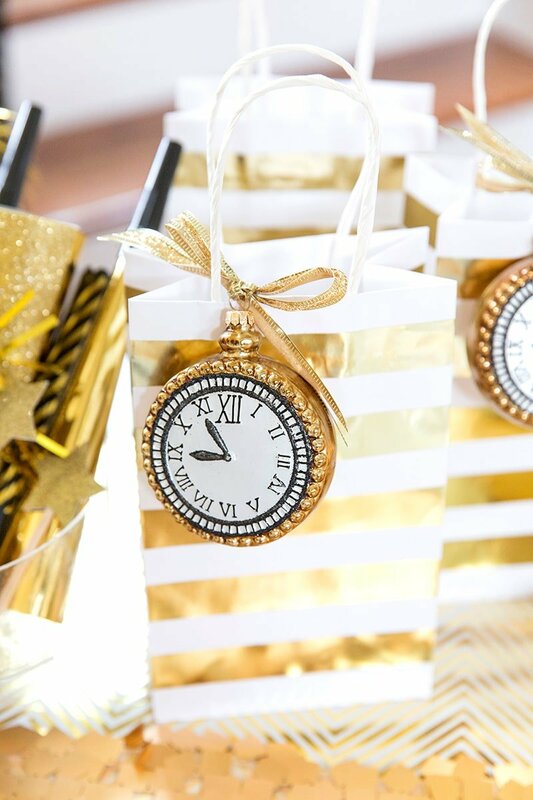 Use clock ornaments as decor. Hang them on ice buckets or use as table decorations. Instead of actual confetti which can be messy to clean-up, look for “confetti print” cocktail napkins! 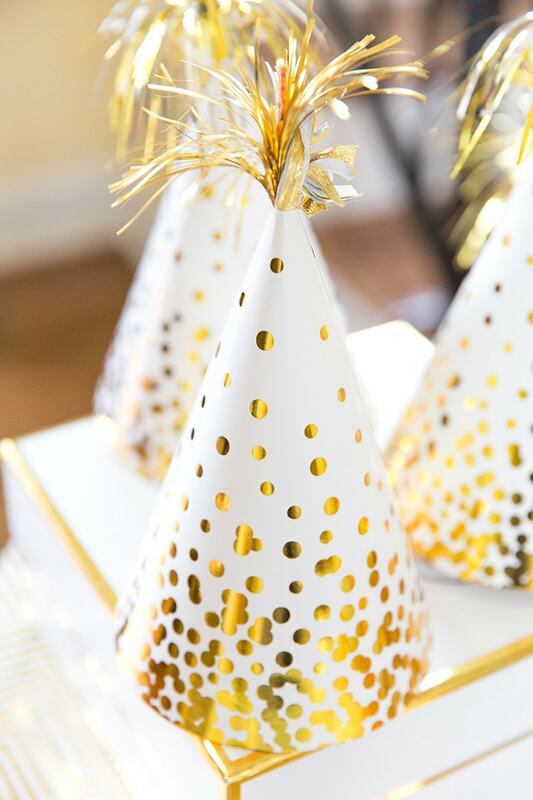 Party horns and party hats are a must on New Year’s Eve – yes, even for adults! Be festive! You only need a few ingredients (most of which you might already have in your refrigerator) to make these sweet ‘n spicy meatballs! 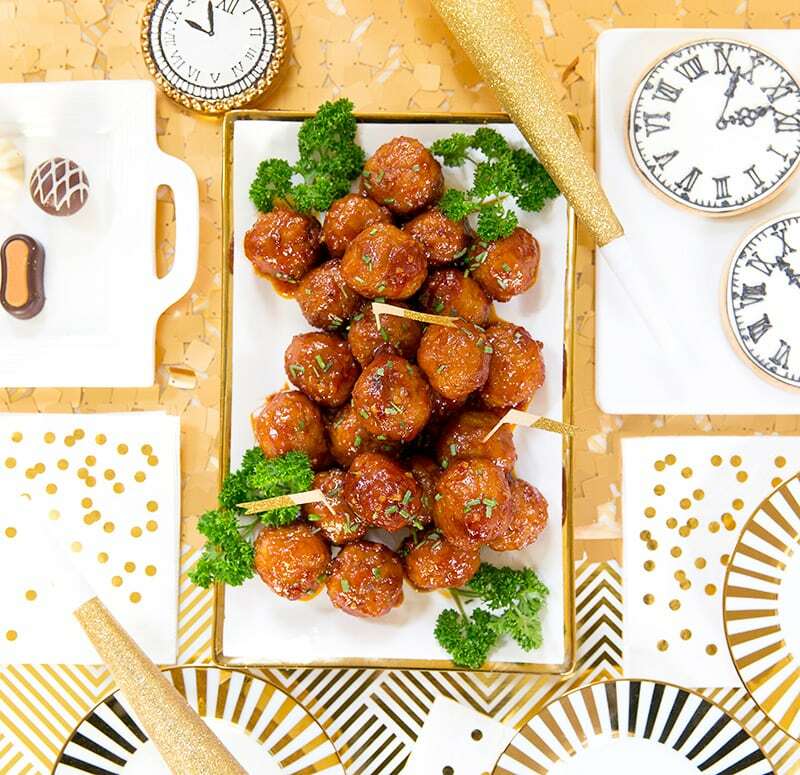 Since the Johnsonville Meatballs stay frozen, you can keep this appetizer on hand for impromptu parties too! These even make a delicious dinner paired with a side salad or served on a hoagie roll. 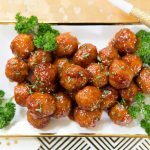 I chose the Three Cheese Italian Style Meatballs but any of their varieties would be delicious with this sweet ‘n spicy sauce. If you like yours with a bit more heat, add cayenne pepper (by the 1/4 teaspoon) or even a dash of hot sauce. I like to give mine a kick without being too spicy for the majority of party guests. I want to be sure everyone can enjoy them! 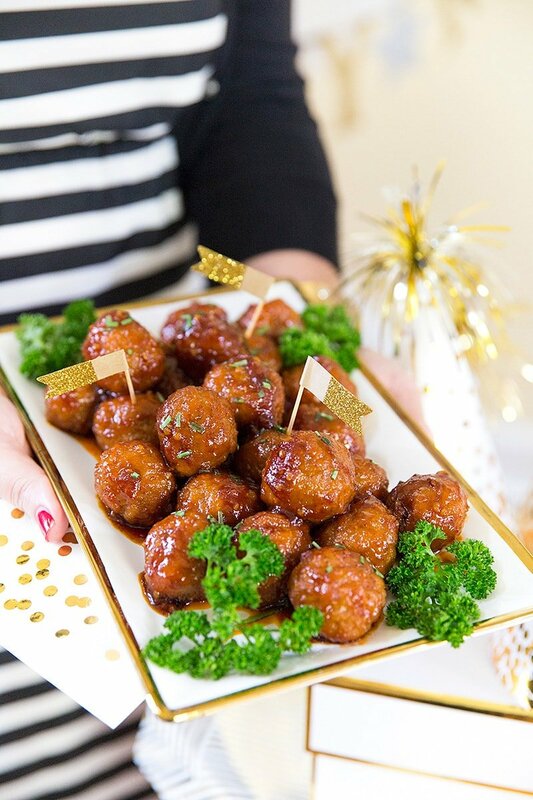 The perfect party appetizer, serve up these sweet 'n spicy meatballs at your New Year's Eve Party! In a large skillet, bring water to a boil. Add remaining ingredients (except meatballs) and lower heat to simmer. Stir until combined. Add meatballs (frozen) and simmer on low-to-medium heat for 15-20 minutes or until heated thoroughly. Remove from heat, garnish with chopped chives. 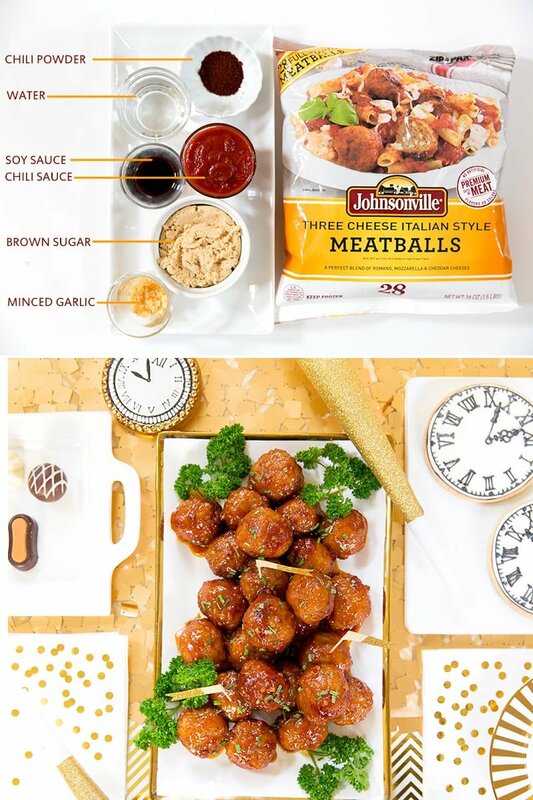 Thanks for supporting our sponsors like Johnsonville Meatballs for allowing us to share our party recipes and entertaining ideas! Cheers! 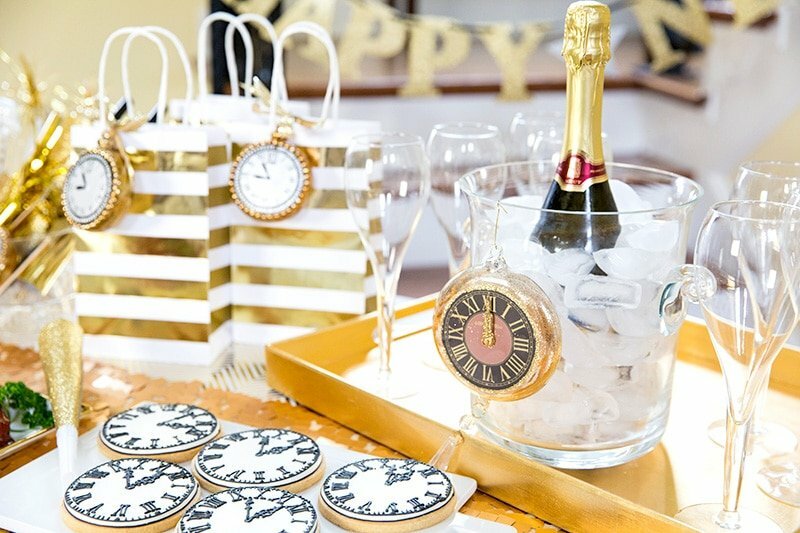 Check our my Pinterest board below for more New Year’s Eve ideas! Follow Courtney Whitmore | Pizzazzerie.com’s board New Years Eve Party Ideas on Pinterest. Organize Your Craft + Party Supplies!